Desolation Sound Marine Park is massive. 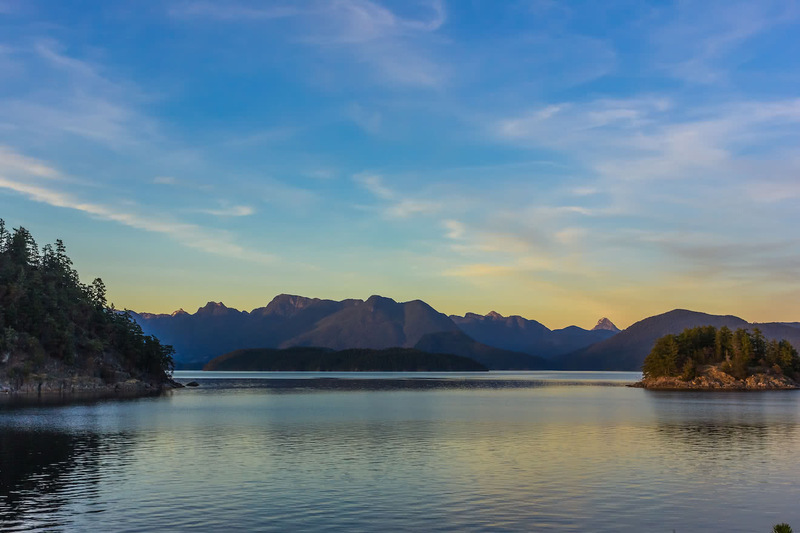 Yet it represents merely a fraction of the coastline, upland and ocean corridors that are waiting to be explored in the greater Desolation Sound area. The miles of coastline and acres of upland contain almost every ecological and geographical niche that can be found along the west coast of British Columbia. Sheer coast mountains rise 7500 feet straight out of deep, glacially carved Pacific waters to form jagged peaks high above. Lush rainforests blanket the rugged lower slopes. Islands, coves and hidden pocket beaches are to be found around every corner of coastline. Lagoons, lakes and waterfalls offer great opportunities for rest and relaxation under the warm summer sun. 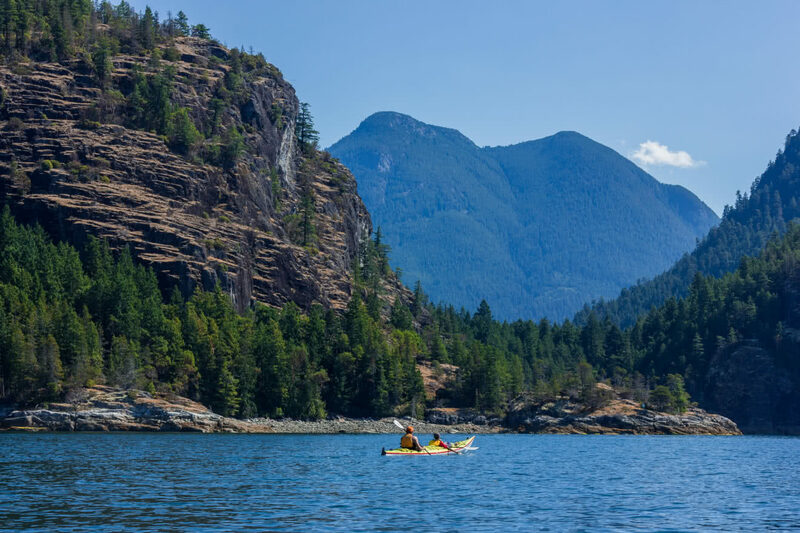 While sea kayaking is synonymous with exploring Desolation Sound, the diversity of experiences make this area truly remarkable. Forested trails connect pocket beaches with refreshing lakes and stunning vistas, while masks and snorkels bring your face to face with the prolific marine wildlife living below. Connect with times past with a day trip into the funky, boardwalk village of nearby Refuge Cove. Desolation Sound has the perfect ‘hammock-vibe’. The ever changing light of the long summer days casts the diverse landscape in constantly shifting hues and tones, eventually giving way to awe inspiring sunsets and clear, starry nights. The unusually warm Pacific waters reach temperatures of 21 degrees Celsius (74 F) in the summer months. 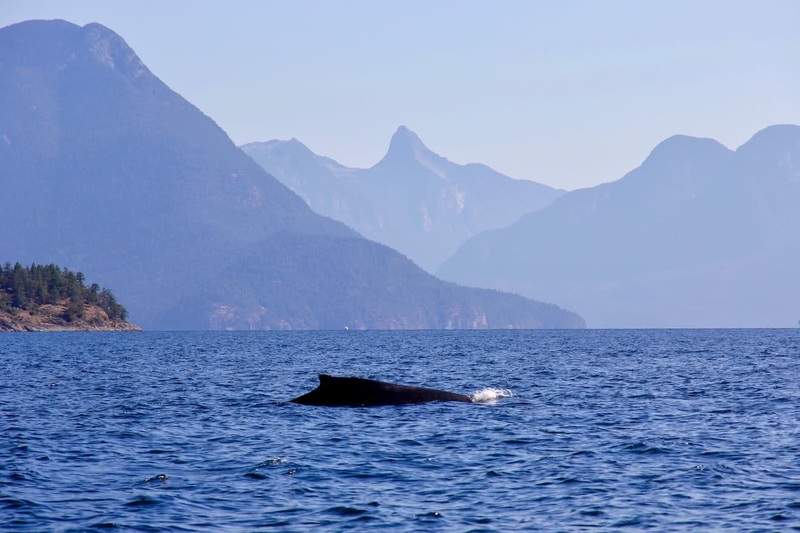 This makes activities such as swimming and snorkelling an enticing addition to your Desolation Sound vacation. Seals, sea lions, porpoises and larger whales such as humpbacks and orcas share the ocean with us. Bald eagles, great blue herons, kingfishers, oyster catchers and countless waterfowl are commonly encountered. Meanwhile, below the water’s surface, the nutrient rich waters provide a feast for a colourful and dynamic array of intertidal sea creatures such as sea stars, anemones, crabs and spiny sea urchins living amongst the kelp and rockweeds.